Quality Solicitors Wragg Mark Bell is modern and friendly – and is proud to be part of a national network of like-minded law firms. Individuals and businesses in Carlisle trust the name QualitySolicitors Wragg Mark Bell for the legal needs. The first time you talk to one of our legal experts is free. You can always talk directly with your lawyer – no matter how busy we are, our ‘same day response’ is a promise. We never hide our costs. And we will never use technical or legal jargon when simple words will do. 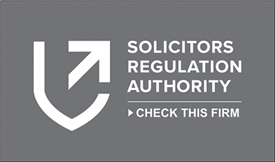 QualitySolicitors Wragg Mark Bell is part of the most exciting change to happen in legal services – making access to legal advice more accessible than ever. For all your local legal needs contact QualitySolicitors Wragg Mark Bell. We are proud of our local heritage and have excellent local knowledge and connections. Throughout March, QualitySolicitors Wragg Mark-Bell is offering Wills at no cost* to people aged 55 and over as part of an award-winning Will Scheme partnership with Barnardo’s. Carlisle-based QualitySolicitors Wragg Mark-Bell is waiving their fees for a limited number of Wills throughout March for customers over 55 years as part of an award-winning Will Scheme partnership with Barnardo’s.